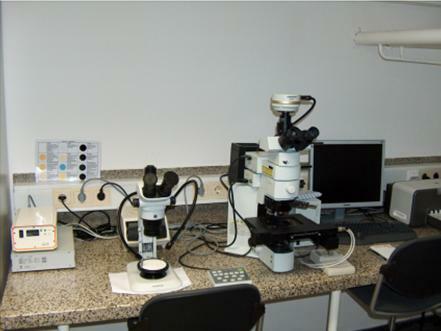 The Research Infrastructure Centre of the Faculty of Natural Sciences and Engineering (NTF) offers research equipment of NTF that is also located at the Department of Materials and Metallurgy. 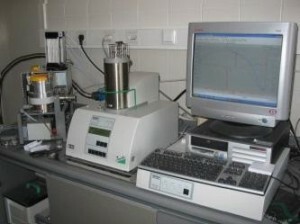 Research equipment is co(financed) by the Slovenian Research Agency. 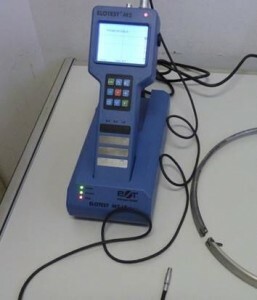 NDT eddy current discovers changes in materials such as: cracks, cavities and other errors. 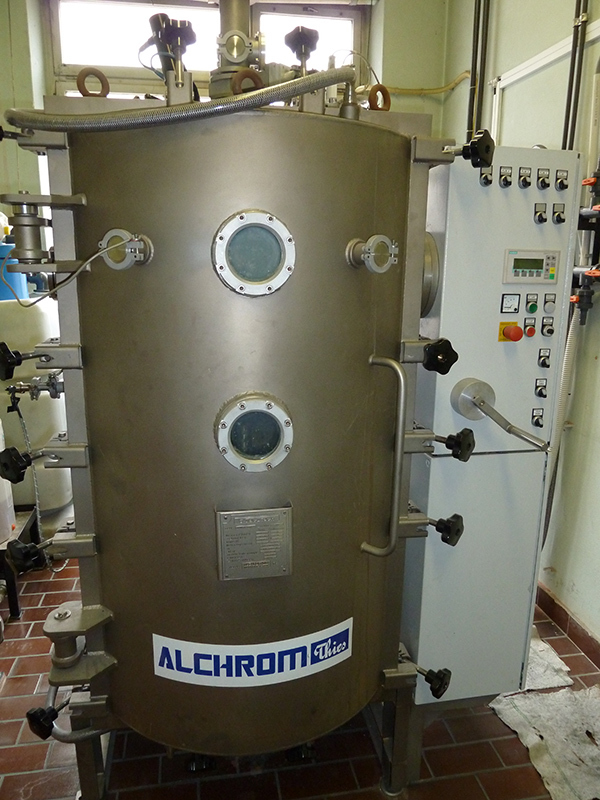 The equipment is available on Lepi pot 11 Street, by agreement with the operator or with the head of the laboratory. 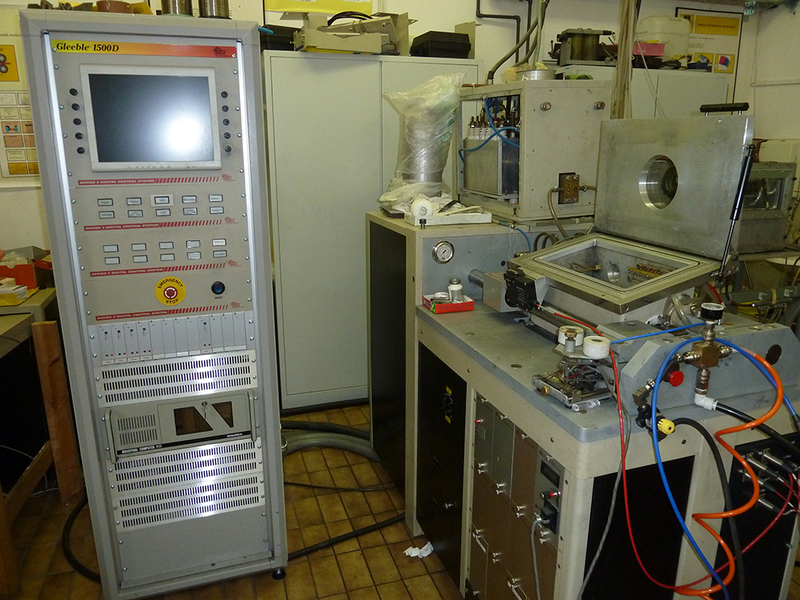 Cooling of the metal and alloy was monitored by means of an ETA (simple thermal analysis). Curing is accompanied by the release of heat, which is reflected in the cooling curve as a change in cooling rate. The characteristic points indicate the formation of individual phases of the microstructure. 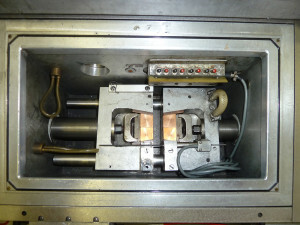 The analysis is suitable for determining the state of the melt in the manufacture and laboratories. 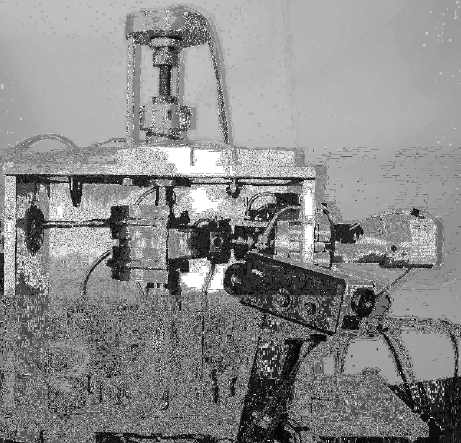 We perform measurements of technological parameters of technologies for transformation of metals (rolling, forging, extrusion, etc.). Research equipment is (co)financed by the Slovenian Research Agency. Determining gross calorific values of solid and liquid samples. Validation according to standards DIN 51900,ISO 1928, ASTM D240, ASTM D4809, ASTM D5865, ASTM D1989, ASTM D5468, ASTM E711. 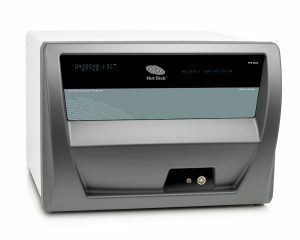 The equipment is available by agreement with the operator or with the head of the laboratory on Lepi pot 11 street, 2nd floor, room 219. Contact person: Marija Ribič Berdajs (marija.ribic@omm.ntf.uni-lj.si). 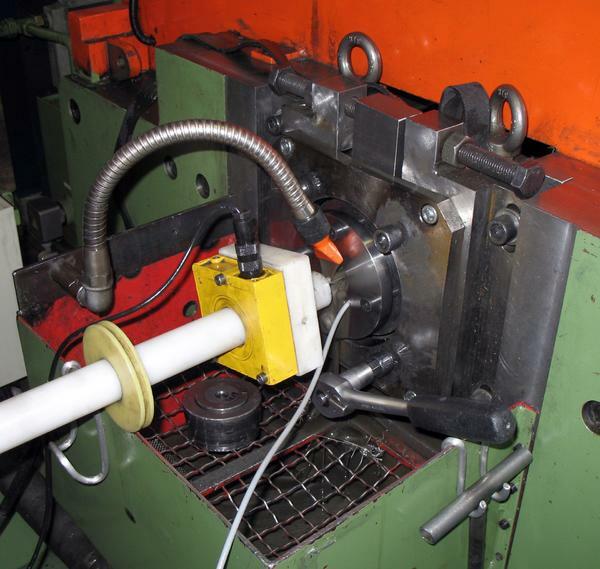 This method is used to measure the temperature of hot forming tools and other machine parts. Enables temperature measurements up to 00:15 mm from the surface with high response thermocouples. 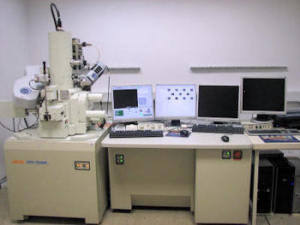 This device is intended for the preparation of samples for transmission electron microscopy (TEM) and the analysis and interpretation of TEM images and diffraction roentgenograms. The device is capable of producing thin (below 100μm) and narrow (2-3 mm) strips of different metals and alloys from the melt by cooling speeds 105 to 106 K / s. In this way, the hardened alloy has a chemical composition, microstructure and properties that differ significantly from those conventionally made from metallic materials. Some materials are also made for research institutions from abroad (sources of energy, materials, shape memory). Effective mainly in cases where the effects of parameters on a certain grandeur very complex (complex), but there is enough database. 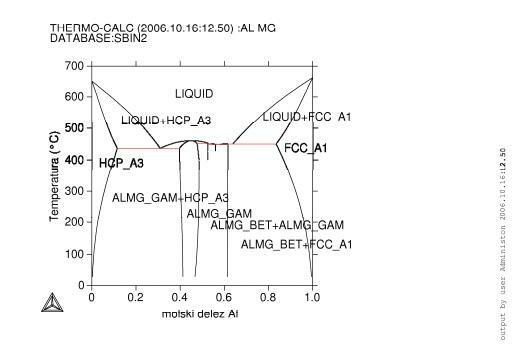 Has successfully been used to analyse the effects of chemical composition on surface cracking during the transformation of materials, optimising the mechanical properties of materials, forecasting processes, wear, etc. Computer predictions of the stress-deformation temperature and electromagnetic fields using finite element method. 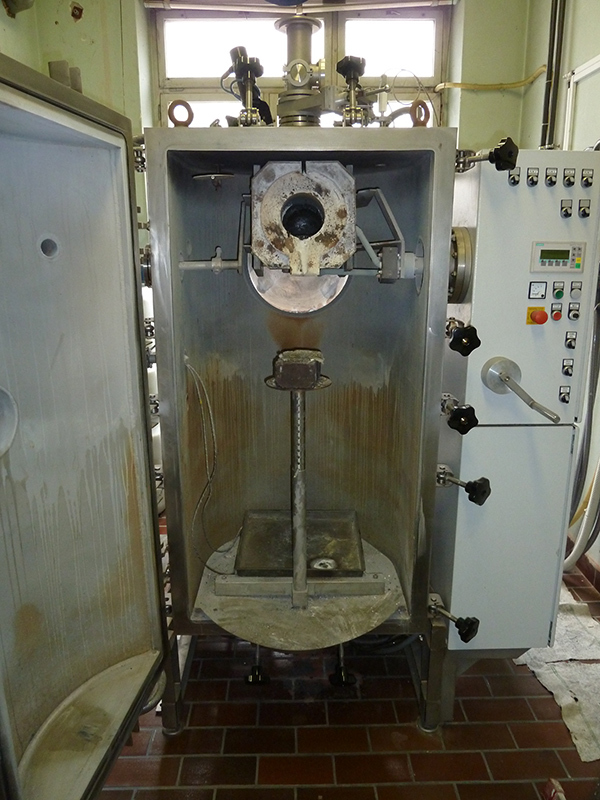 The equipment is available upon agreement on Lepi pot 11, ground floor, room 9; access time is dependent on equipment use. Reservation and information: tomaz.martincic@omm.ntf.uni-lj.si. Thermo-calc software is meant for calculation of phase diagrams and thermodynamic properties with different databases for all types of metal materials and alloys. 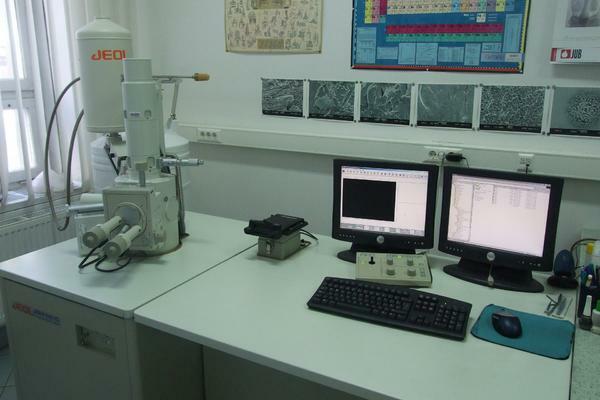 SEM JEOL-5610 is intended for the surface analysis of solids in vacuo 10-5do 10-6 mbar. 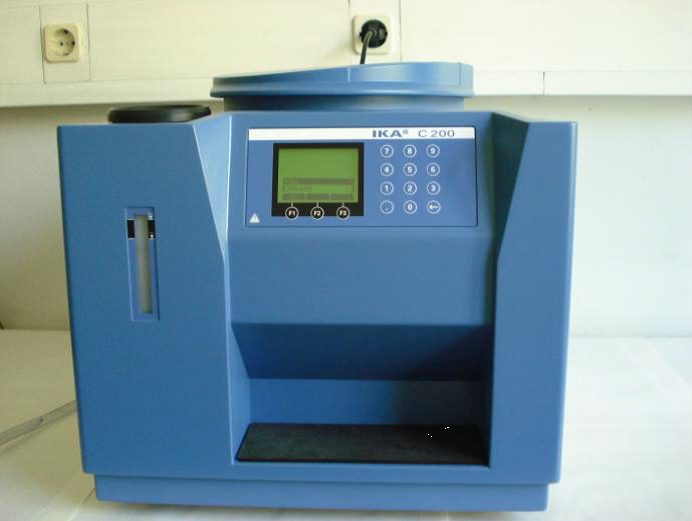 It is equipped with an energy dispersive X-ray spectrometer that allows for a qualitative and quantitative chemical microanalysis, a sensor for back scattered electrons (enable phase analysis) and a sensor for secondary electrons (indicates a relief surface and thereby detects the microstructure of the analysed material). It is used in the development and testing of materials, supporting technologies, analysis of injuries and forensic research. 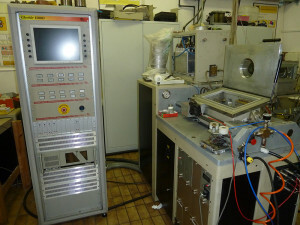 The equipment is available by agreement with the operator or with the head of the laboratory. 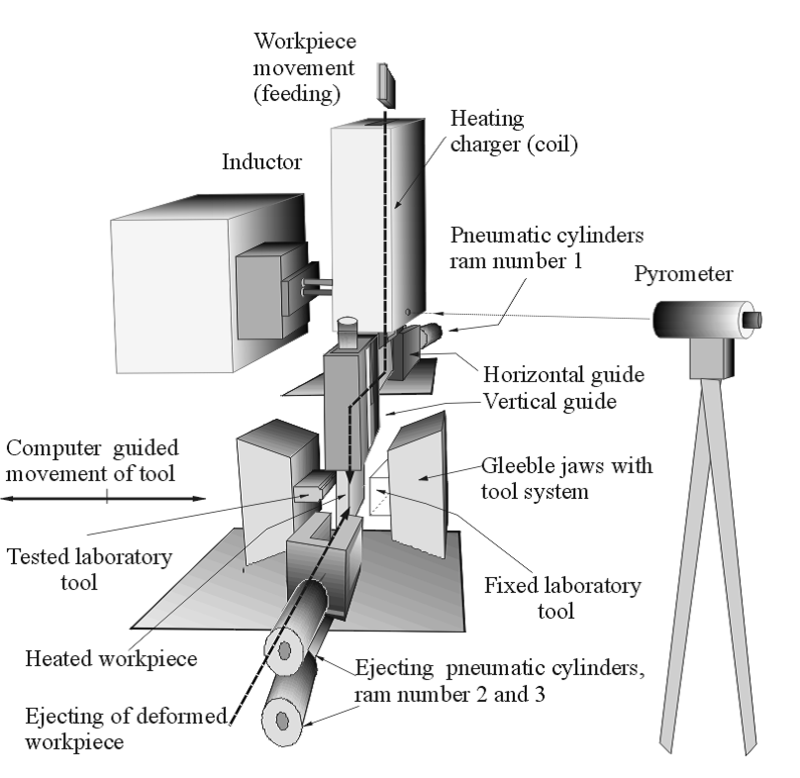 Simulator of thermomechanical metallurgical states enables the following investigations of materials: tensile test, compression test, flow curves, activation energy, microstructure development during hot forming, high temperature fatigue testing, solidification simulation, welding simulation, heat treatment, multistage forming test, wear testing. The equipment is available upon agreement with the responsible person of the equipment. Access time depends on equipment use. It’s located at Lepi pot 11-13, Ljubljana. 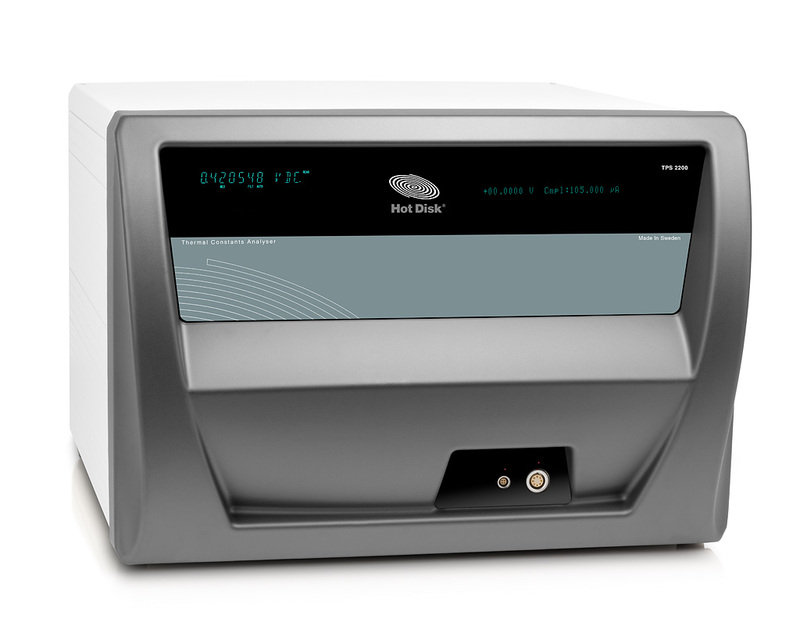 Simultaneous thermal analysis (STA) is a method of thermal analysis that makes it possible to investigate a variety of samples by two or three thermal-analytical methods. Usually those are thermogravimetry (TG), differential thermal analysis (DTA) and differential scanning calorimetry (DSC). Simultaneously, the investigation can be done on processes based on energy difference (absorbing and relaxing heat under reaction) and investigation of mass change (oxidation, degradation, etc.). STA measurement is a complex measurement that is recommended for determining the physical – chemical properties of materials, especially new ones. Simultaneously, the modelling of technological processes can be done. STA analysis makes it possible to determine characteristic temperatures (melting point, boiling point, allotropic modifications, etc. 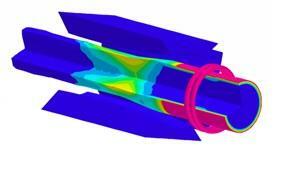 ), thermal effect (melting / solidification enthalpy, combustion heat, etc. ), specific heat Cp, loss or increment of mass, etc. Chair for Metallurgical Processing Technique, Lepi pot 11, laboratory 5A, 1000 Ljubljana. Available upon agreement. Light microscope enables observation of the microstructure of properly prepared materialographic samples of different materials. The microscope enables imaging of samples using different examination modes like bright field, dark field, differential interference contrast and polarised light. 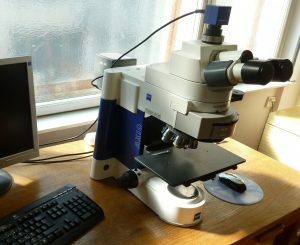 The light microscope is equipped with a digital camera AxioCam ICc 3 (3.3 million pixels) and AxioVision software for image analysis (grain size, phase fractions, etc.). Equipment is available on Aškerčeva 12 street, 1st floor, soba 127, upon agreement. 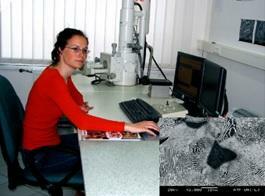 Optical microscopes enable research and characterisation of metal surface materials. 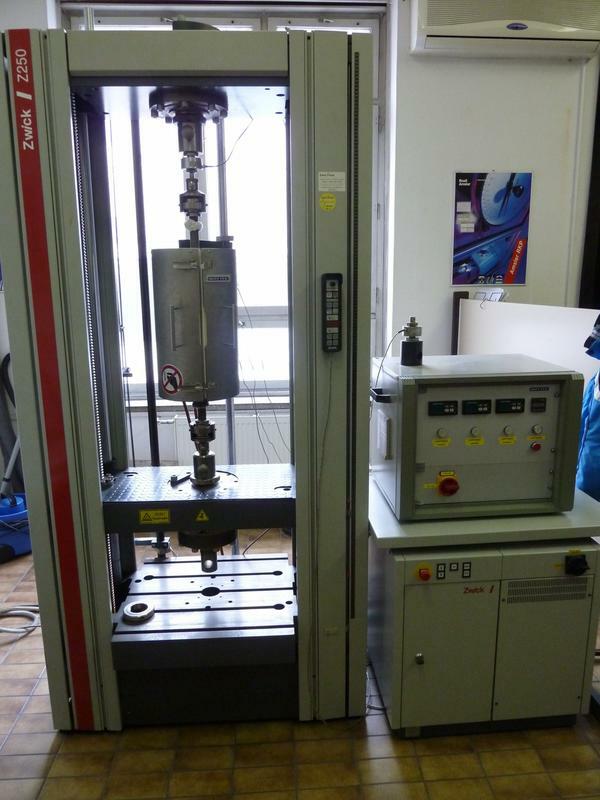 The tensile machine, with a work area of up to 250 kN, in addition to the standard equipment is supplemented by a stove that provides testing at a hot temperature of up to 700 °C. 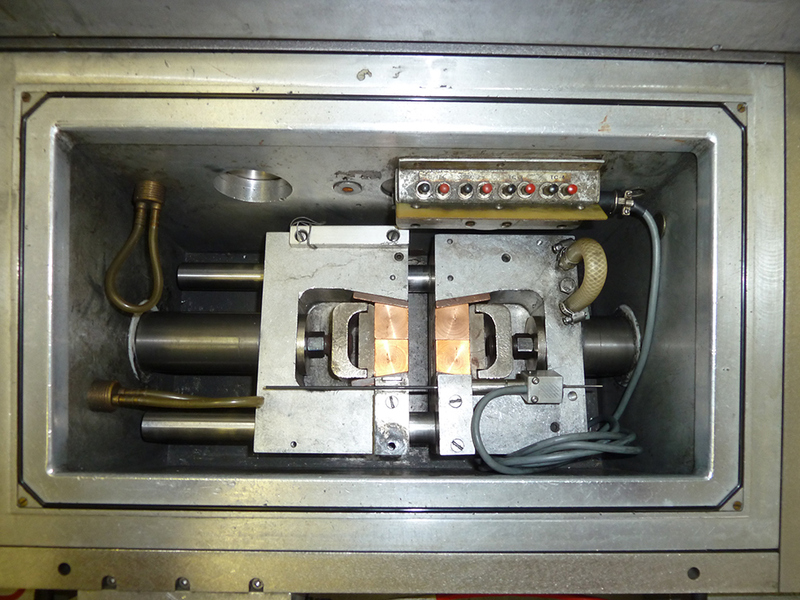 Triple temperature control in the oven allows the execution of complex measurements such as the determination of Superplastic properties of metallic materials. 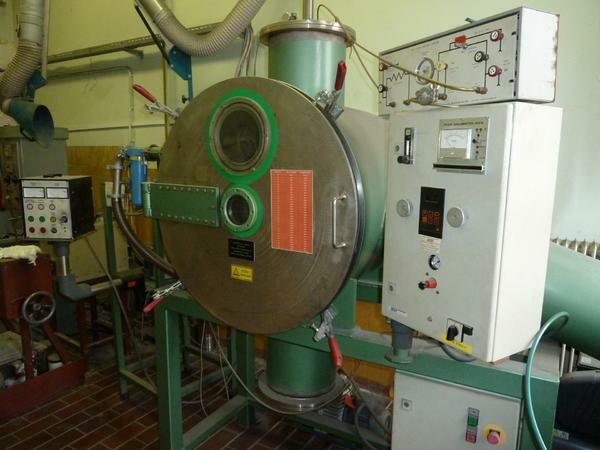 All processes including preparation, melting, purring and cooling are made in a vacuum or in a controlled atmosphere. 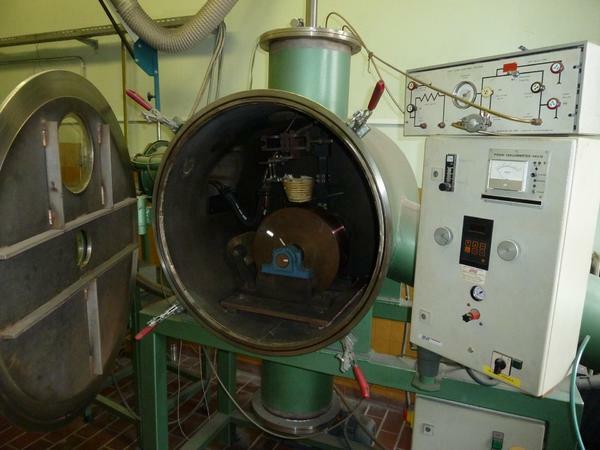 The furnace is suitable for making and elevation and casting of different materials. Centrifugal casting in shells (investment casting) and permanent moulds. 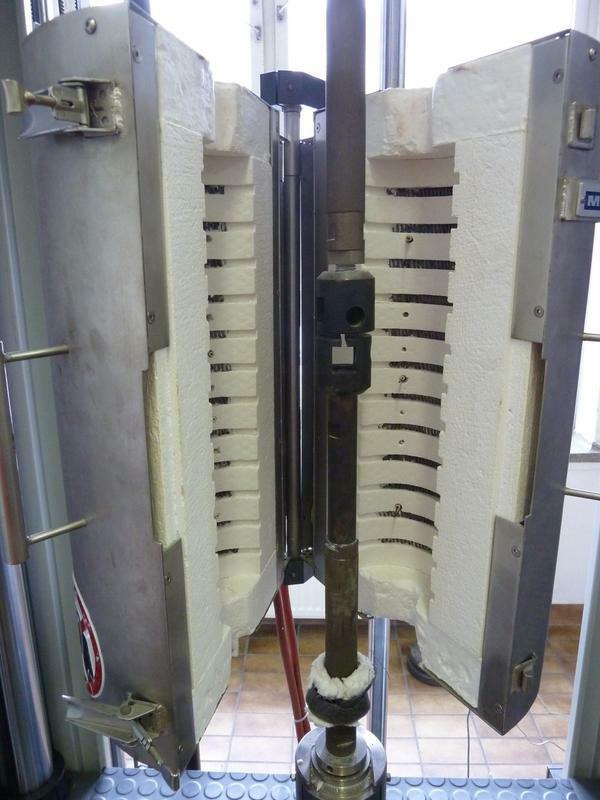 The furnace can be used for directional solidification. Equipment is available at Jožef Stefan Institute, Jamova 39 street, upon agreement. 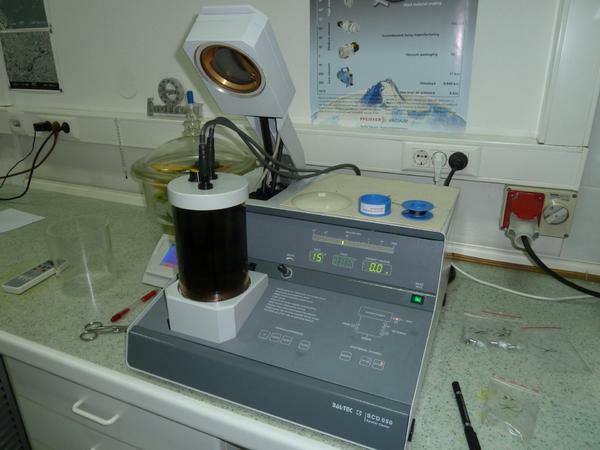 Determining calorific values of metal materials, polymers, ceramics, composites, thin layers, fluids, with high precision of measurements and repeatability of results in the temperature range -50 °C to +750 °C.